I love hooks! They’re my go-to organizing solution and I have them everywhere in my home. 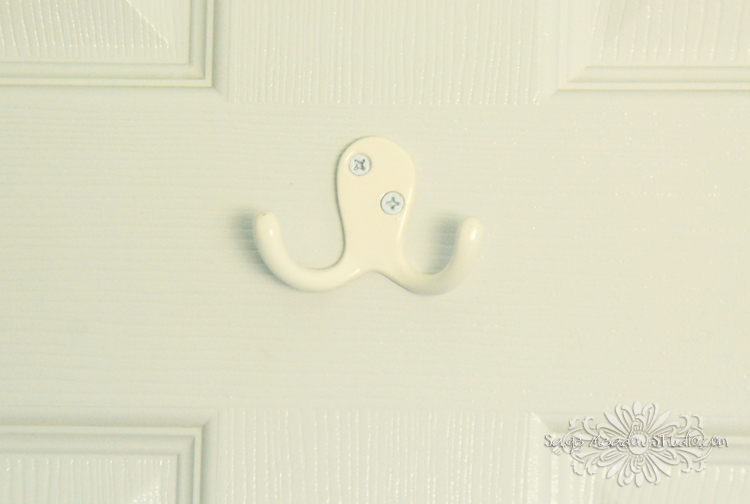 I especially like hooks on doors. 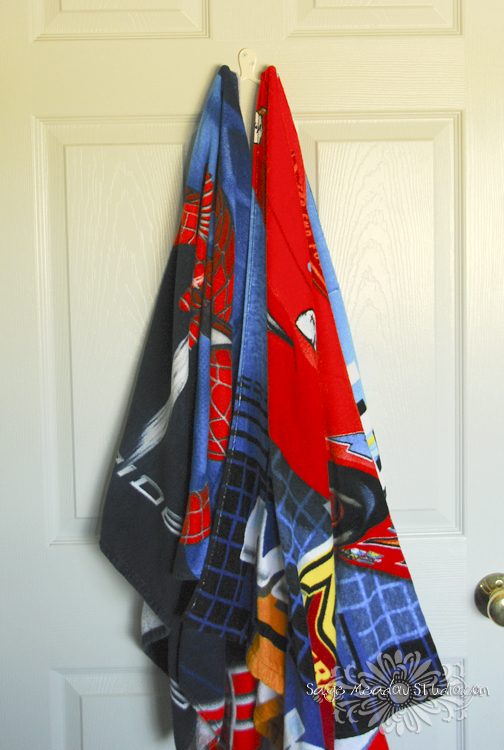 I have a tiny bathroom, so I hang my boy’s towels on his door. 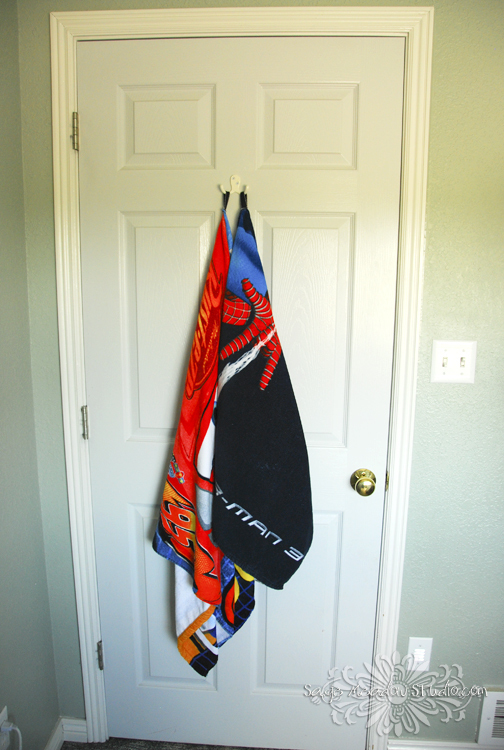 But towels don’t always behave the way I want: they slip off the hooks from time to time, and I don’t like to pick them up! In fact, I’m tired of picking them up. 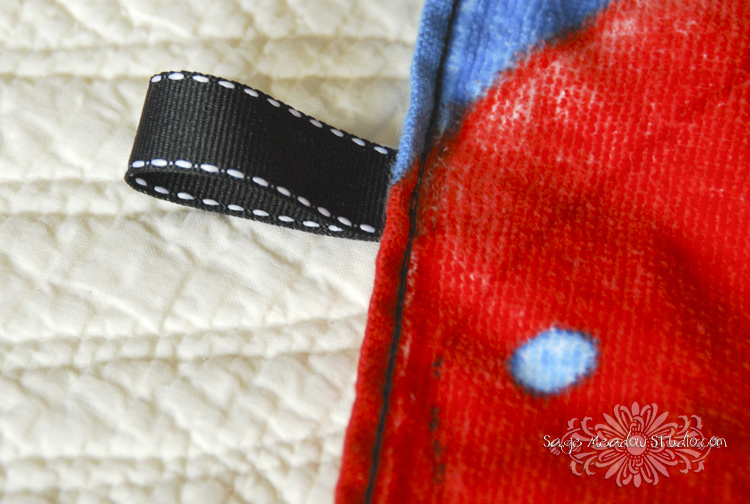 So these towels and I had a little date with my sewing machine. What a wonderful idea! I want to do this ASAP!